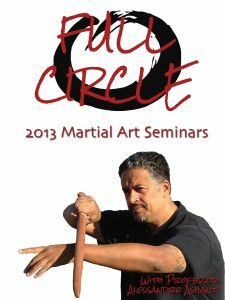 This DVD is a compilation of Master Alessandro Ashanti’s 2013 seminars on the martial art of Full Circle. Available for purchase on Amazon CreateSpace and Amazon. To purchase directly from Professor Ashanti, use the PayPal button below. For a two minute preview of the 2013 Seminars and Workshops DVD’s content please check out this video. 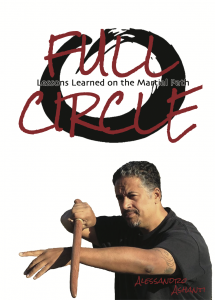 Full Circle: Lessons Learned on the Martial Path contains a unique and engaging philosophical take on the martial arts and the practice of martial arts. 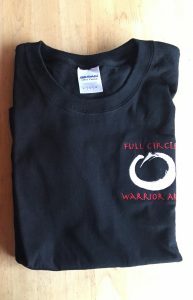 It also delves into the philosophy of Full Circle itself and covers how this remarkable ideology applies to both martial arts training and daily life. Written by martial arts master Alessandro Ashanti, this book contains decades of martial experience, ramblings, philosophy, and musing that spans the full gauntlet from funny to insightful to dark. Full Circle is a book that belongs on coffee tables, bookshelves, and desks across the world. Even if someone is not a practicing martial artist, there’s plenty for everyone, regardless of their background, belief, or upbringing. 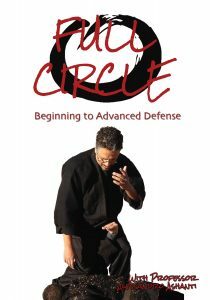 For martial artists, it doesn’t matter if you’re a lifetime practitioner or have never taken a single martial arts class — you will find lessons in this book that you can apply to your daily life. It is available for purchase via Amazon, or you can purchase it directly from Professor Ashanti using the PayPal button below.